David Curtis is one of the most successful and celebrated artists working in the UK today. 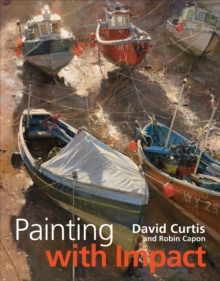 His books are bestsellers and in his latest book he discusses and demonstrates his approach to painting outside on location. 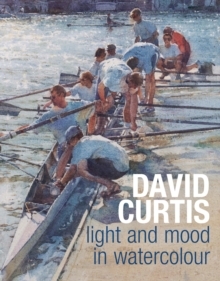 He paints on site whenever possible as he finds that working directly from the subject gives his work a sense of immediacy, dynamism, light and drama. Many artists are interested in painting outside but lack the confidence to successfully work in this way. Here David shows how to develop the necessary skills. He looks at every aspect, from preliminary planning to appropriate painting techniques and, above all, how to capture the essence of the scene in front of you. He includes location sketching as well as advice on essential equipment to take with you. 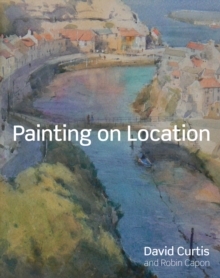 With practical advice and inspirational paintings covering a wide variety of subjects, Painting on Location will prove valuable to all those who wish to paint outdoors, whether to make finished paintings in their own right on location, or to use the experience and information gathered as a basis for further work in the studio.